Hundreds of Sears stores across the U.S. could be saved in what one analyst called “a last-ditch effort” by company chairman Edward Lampert to buy the company out of bankruptcy. 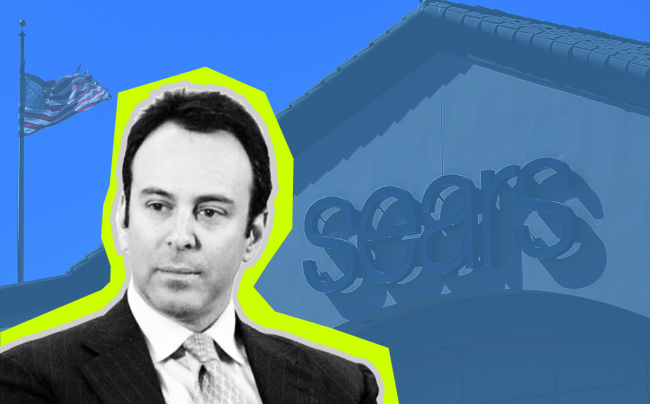 Lampert’s ESL Investments already is Sears Holdings’ biggest shareholder and creditor. On Thursday, he outlined a $4.6 billion bid to take over the rest of the century-old retailer, according to Bloomberg. The company filed for bankruptcy protection in October, and said it would close another 142 stores around the end of the year. Despite efforts to cut costs by closing hundreds of stores, Chicago-based Sears has lost more than $11 billion since 2011. In the last two years alone, it closed more than 725 Sears and Kmart stores nationwide. Lampert’s efforts to keep Sears out of bankruptcy included shedding hundreds of unprofitable stores. Sears and Kmart had some 3,500 locations when they merged under Lampert in 2005; now there are about 900 nationwide. Thursday’s bid is the latest in a long series of bailouts Lampert has provided for Sears. If Lampert’s bid fails and Sears is forced to liquidate, it could leave malls already dealing with the loss of major tenants like Carson’s and Toys “‘R” Us with massive amounts of additional vacant space.